Our recent series of articles has explored the realm of left-handed hitters playing defensive positions that demand right-handed throwing. Those characters are a distinct minority. Now we’re ready to look at the rarest of rare breeds. As we’ve discussed, at four of the eight non-pitching positions on the field, one can’t (at least in the modern professional game) throw left-handed. At the other four, one can throw with either arm; only at first base is there an advantage to throwing one way or the other, and there the advantage for lefty throwers is modest. Therefore, if one were able to choose which arm to use for throwing, it would make precious little sense to decide in favor of the left; doing so would strictly limit the positions one might be able to play. Not a wise career move. Similarly, if one had a choice of which way to bat, straight-right-handed would be the worst possible decision. Switch-hitting is obviously optimal, gaining the platoon advantage all of the time, but if switch-hitting isn’t possible, batting left-handed provides the platoon advantage most of the time. There is simply no good reason to choose to bat right-handed. So here we’ve got athletes displaying enough ambidextrousness to bat one way and throw the other. Yet not only do they eschew the switch-hitting option (which admittedly is far easier to do in theory than in practice), these guys find themselves in the least advantageous circumstance both offensively and defensively. One hopes it came about through some manner of unusual and immutable brain wiring, because to the extent that deliberate decision-making might have been involved, these guys got it double-wrong. I’ve identified every right-handed hitting, left-handed throwing position player in big league history, and done my best to rank them. I’m focusing only on position players, not pitchers; there are quite a few pitchers who fit this description (including some great ones, such as Randy Johnson, Carl Hubbell and Rube Waddell), but for the great majority of pitchers it doesn’t really make much difference from which side of the plate they bat. My ranking criteria aren’t rigorous, and one can easily take issue with the precision of this or that ranking: the essential issues I’ve considered are total games played, total Win Shares, and Win Shares per game, filtered through a mild degree of Time Line Adjustment. All right. Now you see what I was getting at above? This mode of player is so rare that on the all-time list, in the low teens we aren’t yet even close to stars. And in the high teens to low 20s, we’re barely talking about journeymen. Okay, just because you’re dying to know the exact total: Since 1871 there have been 57 of these animals, defined as playing at least one-half of their games at a position or positions other than pitcher. That is so rare that if it was a steak, it would moo. Something worth noting is that all three of the 19th-century guys on this list (Pop Tate, John Cassidy and Jimmy Macullar) played extensively at positions at which left-handed throwers are no longer found. Though, seeing as how I’m of the opinion that there isn’t a compelling reason for left-handed throwers to not play catcher, Tate’s case isn’t as strange as the others. Macullar was primarily a shortstop, for crying out loud; his throw from the hole must have been quite a feat. Yet, although all the more modern guys have been strictly limited to the outfield and first base by their southpaw throwing, this rare species shows no signs of becoming extinct. Into the 21st century, with more money in the game than ever before, and every small edge being sought as never before, we still see exemplars including Damon Hollins, Jeff Abbott, David McCarty, Brian Hunter and Jason Lane. So, on to the cream of this meager crop. He got passed around among several organizations before blossoming as a productive hitter in Florida. Ross isn’t a star, but he provides value, delivering nice power while being able to handle center field. Maddeningly, his limitation of batting right-handed while throwing lefty may be the very thing that’s keeping him from stardom. Despite his early struggles, over his career Ross has thoroughly owned left-handed pitchers, to the tune of .294/.357/.609 in 361 plate appearances. Yet the right-handers have held him to a paltry .244/.306/.432. One wonders whether switch-hitting is something he attempted and abandoned. One of the nicer stories over the past couple of years: Rather like Ross, Ludwick was a marginal guy bouncing around, spending more time in the minors than the majors. But he landed on his feet in a utility role with the Cardinals in 2007, and then all of sudden busted out with a star performance at the age of 29 in 2008. To what degree he’ll be able to sustain it is now the obvious question. Quite unlike Ross, Ludwick hasn’t displayed difficulty hitting right-handed pitching; indeed he’s got a severe and highly unusual reverse-platoon split: .296/.363/.530 against RHP, and just .233/.314/.483 against LHP. That Carreon was deployed 68 times in center field is compelling evidence that major league managers make mistakes, too. Carreon had neither the speed nor the arm to be adequate in center. Not that he was any great shakes defensively in left field or right, or at first base for that matter. The fact is that Carreon was a guy with entirely unimpressive “tools” altogether; he just wasn’t a graceful athlete. But put a bat in his hands and Carreon was in his element: he was as “pure” a hitter as you’ll ever see. His smooth, easy, well-balanced swing reliably delivered hard contact to all fields. Interestingly, as a player who was used in platoon roles for much of his career, Carreon hit righties and lefties equally well, in fact even slightly better against RHPs. One needs little more evidence than this as proof that the technique of bunting was largely unknown until the 1890s: Our friend Mr. Carpenter here played in more than 1,000 major league games as a left-handed throwing third baseman in the 1880s. Once batters learned how to reliably cause the third baseman to have to rush in, scoop the ball up and make a quick, hard throw to first base, the day of the southpaw third baseman was doomed. But under the conditions in which he played, Carpenter was apparently quite adequate defensively at the position, because he sure wasn’t in the regular lineup year after year for his mediocre bat. Think that the concept is a bit strange of a guy spending several years in the majors as a left-handed pitcher, then fading out and later becoming reborn as a right-handed-hitting outfielder-first baseman good enough to enjoy a second big-league career? How about it happening twice, in nearly identical form, at close to the same time? The similarities between Cooney and Bressler go beyond that, as both were high-average contact hitters with little power. Cooney was a little better as a pitcher than Bressler, and Bressler a little better as a hitter than Cooney, but overall their combined contributions were remarkably similar in both quality and quantity. Each would have forged an utterly unique major league career, if not for the other. … in 1920 my arm gave out again, this time for good as far as pitching was concerned. So I was up that familiar creek again without a paddle. This time I decided the thing to do was to give up the pitching business and take up the hitting business. Why not? Other guys could hit. Why not me? Whereupon I became an outfielder and a first baseman. In the outfield I played alongside Eddie Roush. Oh, what a beautiful and graceful outfielder that man was! The more I played next to him the more I realized his greatness. Well, he’s in the Hall of Fame, right? And he got there on his hitting and his fielding both. The first thing I did was go to him and tell him my problem. Hah! The understatement of the century. The greatest center fielder in the game saying to me, “if I can help you!” Terrific! At first base, Jake Daubert taught me how to make the plays. Another wonderful fielder. As good a fielding first baseman as Chase or Sisler. In those days, of course, we didn’t have the gloves at first base like they have today. Our gloves were much smaller, so we had to use our hands and our fingers when we caught the ball. Today the first baseman doesn’t catch the ball. The glove catches it. That thing just reaches out and wraps itself around the ball and swallows it, in one huge gulp. Flap! And the ball disappears. And I made myself into a hitter. I changed my whole style of batting. Went into a deep crouch. High fastballs inside were my weakness, so I adopted this crouch, leaning way over the plate, and when I’d straighten up that ball would be out there and I could whack it. It wasn’t in close anymore, see. Jones was similar to Mark Carreon in several ways: BR/TL guys of about the same size and build, came up with the Mets, were tried in center field but found better suited to left, and displayed a fluid, calm batting stroke that made spraying line drives to all fields look ridiculously simple. Neither guy exhibited a significant platoon differential, each finding right-handed pitching just as easy to master as the stuff from southpaws. But unlike Carreon, Jones was a splendid all-around athlete, who ran quite well for a big guy; indeed he’d been a star halfback at Alabama A&M before choosing to play pro baseball. In fact, whether it was fair or not, Jones had a reputation as a guy who wasn’t quite getting the most out of his ability, getting by on his natural gifts and suffering lapses of concentration. One of the more memorable moments of the Mets’ storied 1969 season was the time when manager Gil Hodges, frustrated with what he perceived as lackadaisical effort from Jones, called time and slowly walked all the way out to left field to inform Jones that he was being pulled from the game right then and there. Their relationship, shall we say, became rather strained after that. 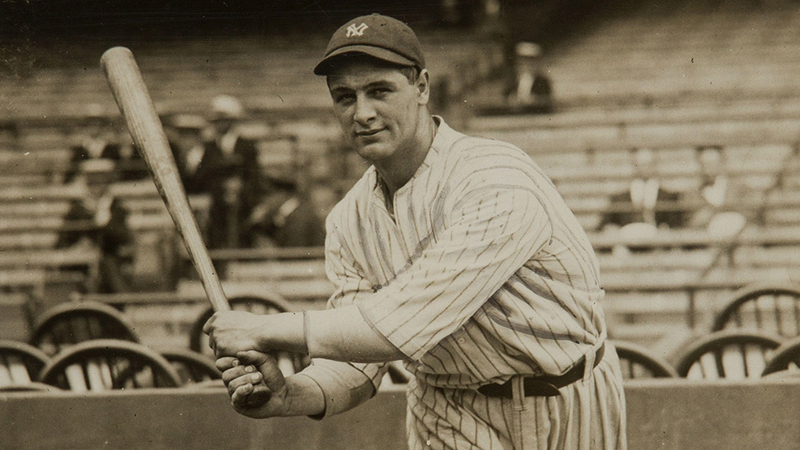 At any rate, for several years Jones was among the better hitters in the game. But he was always prone to nagging injuries, and after the age of 30 or so he rapidly fell apart. In one of Zander Hollander’s guidebooks we’re told that Jones batted righty and threw lefty as “the result of a quirk in his neighborhood field.” We aren’t told just what this quirk might have been or how it caused Jones to go in that direction; consider me a tad skeptical. Set aside all the nefarious stuff for the moment: Wouldn’t Chase have been a marvelous player to watch? Every contemporary description of him gasps in amazement at his grace and athleticism when playing first base, and this was occurring in the era in which first base defense was both more difficult (due to primitive gloves, as referenced by Rube Bressler above) and more important (due to the higher proportion of plays involving the first baseman) than it has since become. Chase was universally regarded as the finest-fielding first baseman yet seen; he was surely one of the very best of all time. His impact on the games must have been huge—providing, alas, a distinct temptation for him to, let’s say, play an angle once in a while. Chase’s defensive wizardry was such that he was deployed in 35 games at second base (as well as a handful at shortstop and third) despite being a left-handed thrower. By his era, that was an exceptionally rare phenomenon, vastly more so than it had been just a decade or two earlier. In the context of his time, Chase was a superstar. Had he not been so wrapped up in the gambling/game-throwing scandals that were rampant at the time (the Black Sox were just the tip of a dark iceberg) and gotten himself banned from the sport, Chase very likely would have been elected to the Hall of Fame. And no doubt, if Chase were enshrined in Cooperstown, modern-day statheads would be prone to deriding that outcome, pointing to his unimpressive OBP. I’m inclined to think they’d be wrong to do so; while it’s true that he was a good-but-not-great offensive player, he was obviously a great defender, investing that greatness at a position where it yielded robust value. Consider this left-handed thrower’s experience playing shortstop, second, and third: He was used that way early in his career, but made his final appearance at any position other than the outfield in 1893. Thus the significance of Hal Chase playing 16 games as a second baseman as late as 1916. Ryan was about as well-rounded a talent as one ever sees. In addition to being agile enough to be dabbled with in the middle infield despite throwing southpaw, he had the wheels to be playing as a regular center fielder at the age of 40. And offensively, Ryan simply did everything well: He was a good hitter for average, had good power, was good at drawing walks, and was good at running the bases. He wasn’t great at anything, however, and so didn’t attain the status of major stardom. He’s neither in the Hall of Fame nor the Hall of Merit, but has a plaque carved in stone in the Hall of Very Good. Given the extremely small pool of BR/TL ballplayers, and moreover given this mode’s inherent disadvantageousness, it isn’t surprising that there have been almost none that have risen to the level of all-time great. But one has, to be sure. 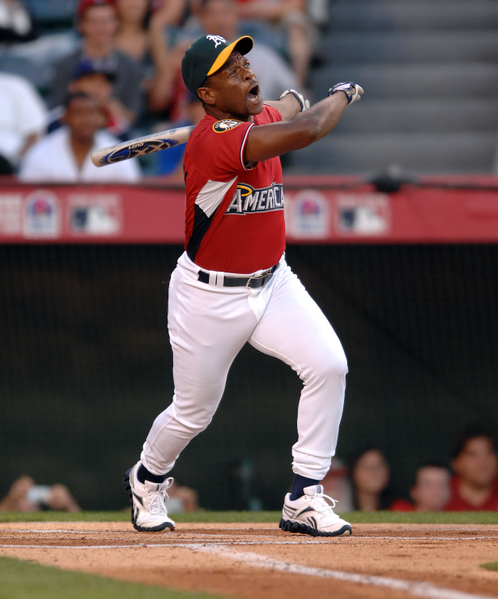 And isn’t Rickey’s delightfully peculiar personality just perfect as the standard-bearer of the BR/TLs? I don’t know that I can recall anyone ever asking Henderson why he bats right-handed while throwing lefty, but I’m certain if anyone ever did they received an answer that’s at once incomprehensible, funny, and somehow satisfying in a Rickeyesque way. Henderson didn’t display an extraordinarily strong platoon differential, but he hit lefthanders significantly better than he hit righties, particularly for power. Tremendous a performer as he was, imagine if he’d been able to switch-hit, and hit just as well if not better in the 70 per cent of his plate appearances against right-handers as he did in the 30 per cent against lefties. Wow. Lawrence S. Ritter, The Glory of their Times: The Story of the Early Days of Baseball Told by the Men who Played it (New York: Collier, 1966), pp. 195-196. Zander Hollander, ed., The Complete Handbook of Baseball: 1972 Edition (New York: Lancer, 1972), p. 155. There are a few players that played for the Mets that were left handed throwers and right handed batters. Pitchers who throw left and bat right are not uncommon. In fact, most baseball players who throw left and bat right are steered into pitching, which is one reason why position players with that combination are so rare. George Herbert Walker Bush played first base at Yale and was a BRTL. Y are there so many right handed throwing players that can hit lefty but not as many left handed throwing players that can hit righty? Because cross-dominance is an advantage in one direction and a hindrance in the other. It’s no big deal at the sandlot, but the higher up the food chain you go, the more significant (statistically) each small advantage becomes– and the more disabling each disadvantage. Since batsmanship is downplayed with pitchers, the disadvantage is less critical. Thus the higher incidence of BR/TL at that position. I never played competitive baseball but I can only throw lefty and only hit righty. I occasionnally read about the rarity of this and it makes for good bar talk haha..